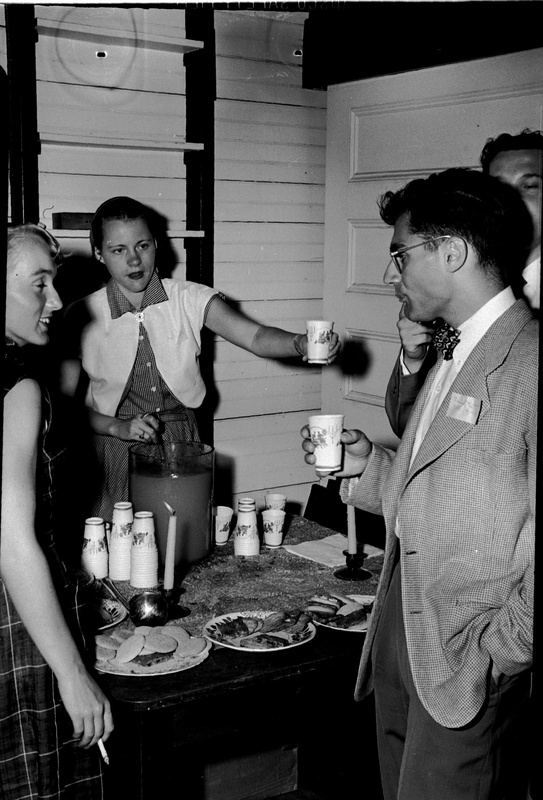 Punch being served at a mixer at the MBL Club. 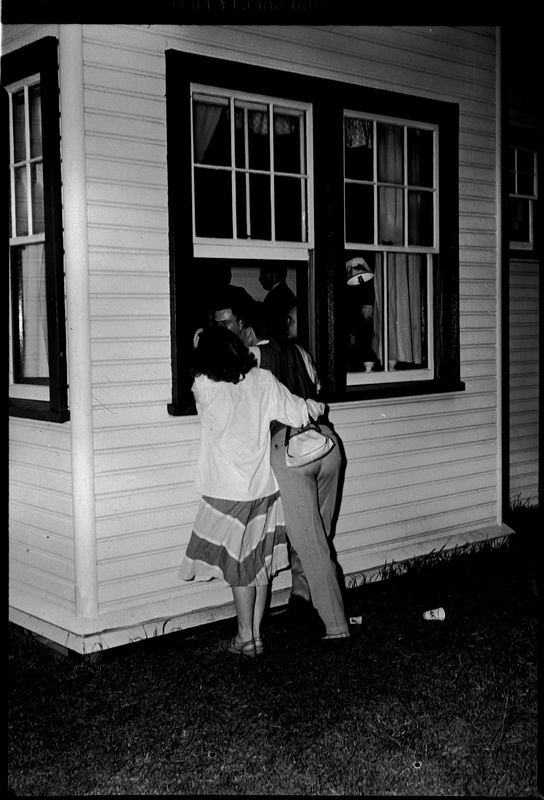 Couple standing outside of the MBL Club talking through a window to a person inside. 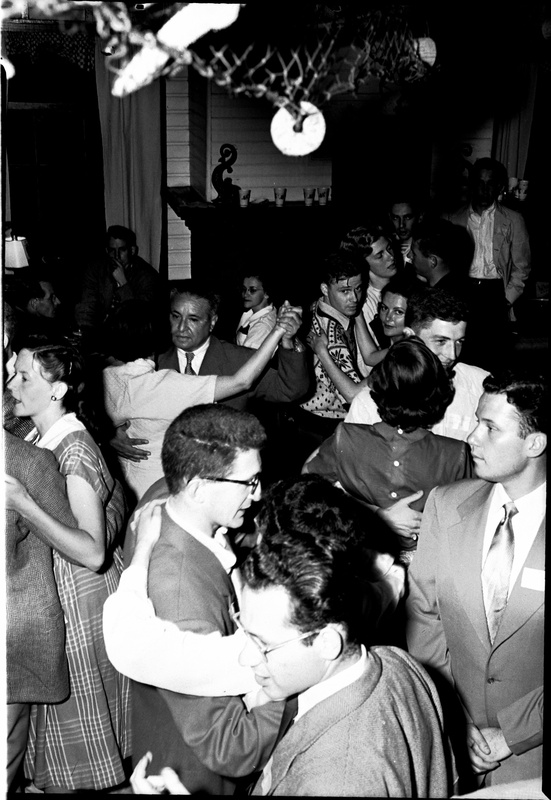 Couples dancing together at a mixer at the MBL Club. View from above. 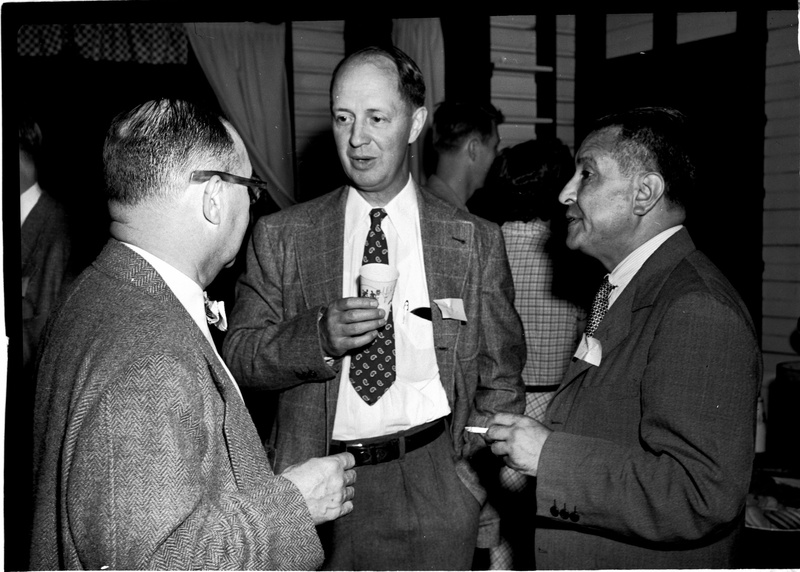 Three men talking at a mixer at the MBL Club. Small groups talking at a mixer at the MBL Club. 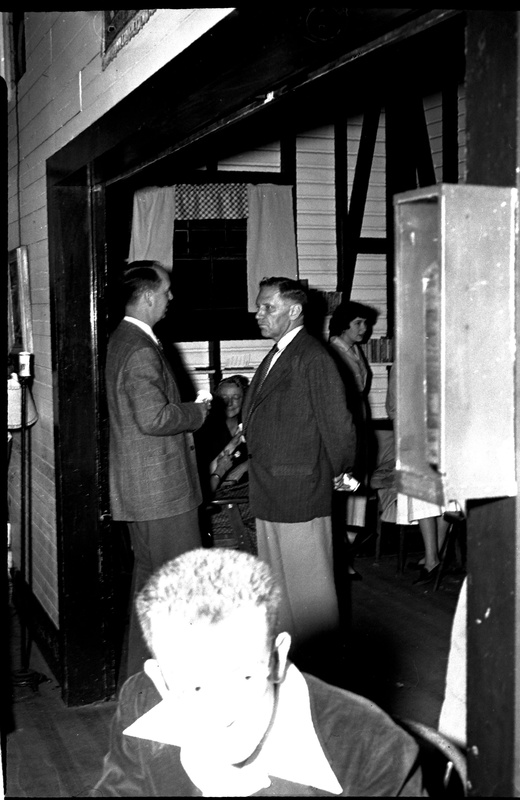 Two men speaking at the entrance to the alcove of the MBL Club during a mixer. 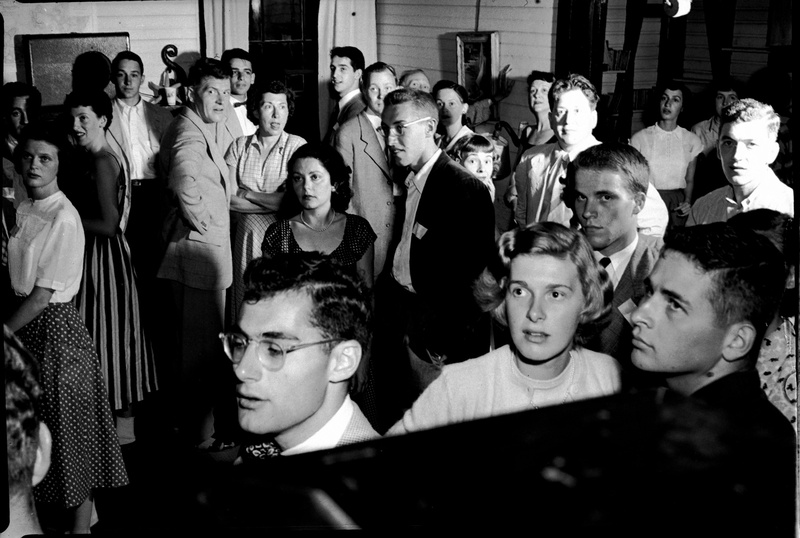 Additional people present in the foreground and background. 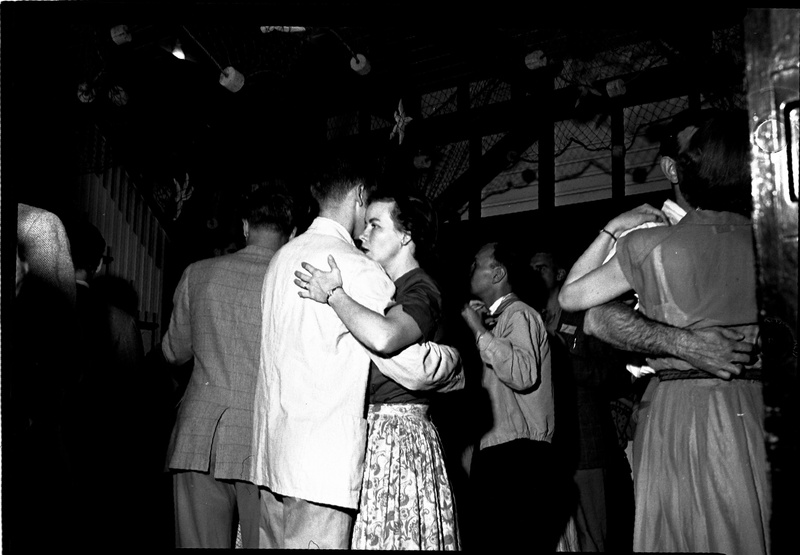 Couples dancing together at a mixer at the MBL Club. Nautical themed decorations are visible hanging from the ceiling. 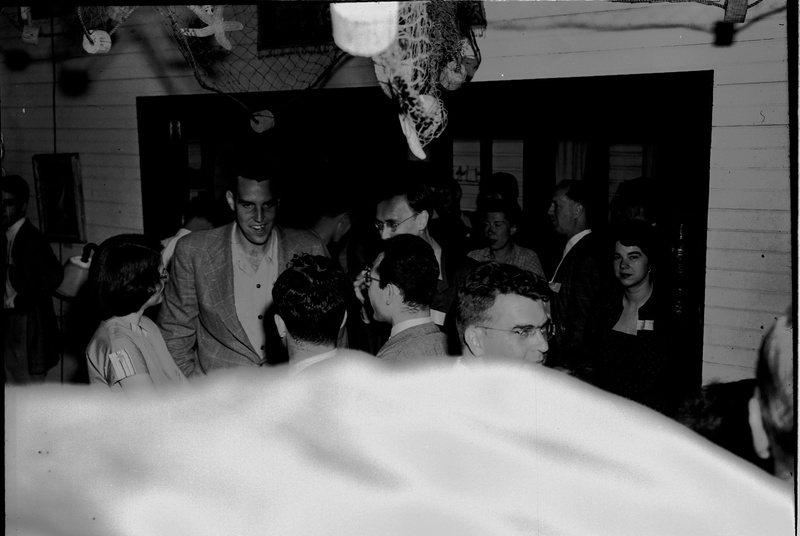 People talking at a mixer at the MBL Club. Bottom part of photograph obscured. 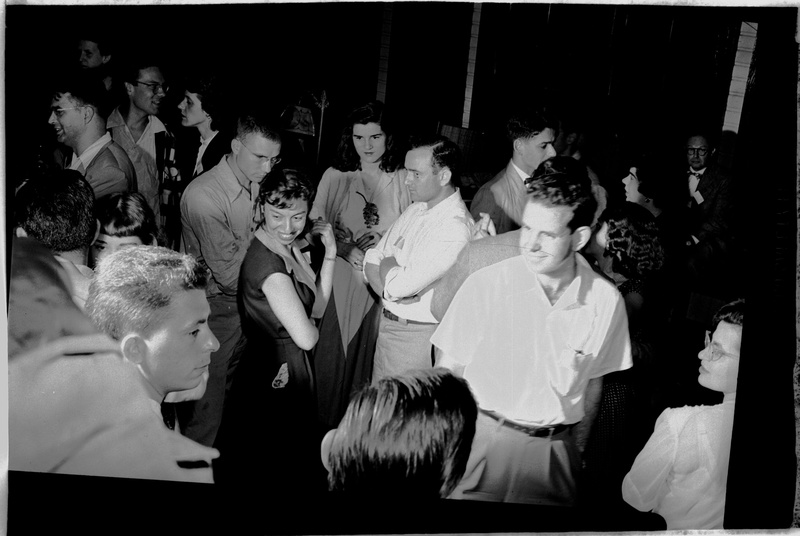 People at a mixer at the MBL Club. They are turned to see something near the camera. 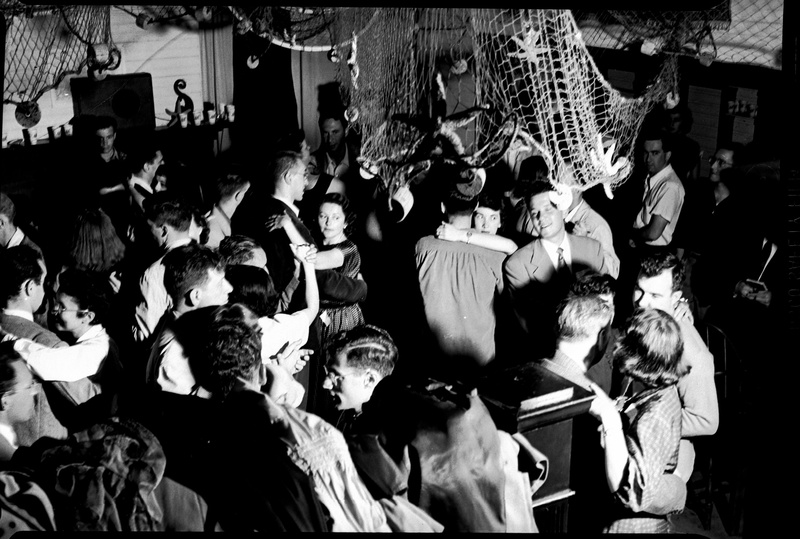 In 1988 the Marine Biological Laboratory celebrated its centennial. In this well-researched, sometimes humorous, always human "biography" of this eclectic institution, historian of science Jane Maienschein catches a glimpse of what it is that has made the MBL so special to all who have spent any time there.